We could use your help. A few of us are trying to get some panels chosen at this year’s SXSW festival. Please read below and if you like what you see, click through and let SXSW know you’d like to see one or all of these topics covered. Thanks! The evolution of the hashtag session will take the audience on a highly visual journey that answers the question that is on everyone’s mind… Why the hashtag? Looking beyond the # key on your phone, we will explore where the hashtag came from and why it has become a staple of today’s social web. We will also explore how the hashtag connects traditional media with digital and beyond and the potential to create converged media opportunities and how this can create value for brands. Then we will move on to explore how brands are capitalizing on hashtags to create earned media opportunities. Finally we will look into the future and review how the hashtag will impact the future of the newly forming contextual web. 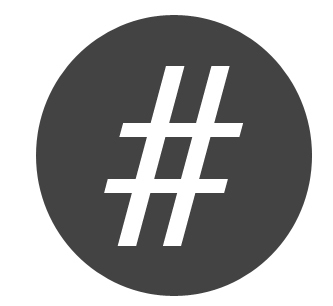 Why has the hashtag become a staple in today’s social web? How is the Hashtag extending TV viewership and creating new converged media opportunities? How are brands capitalizing on Hashtags to create earned media? How will the Hashtag impact the future and the new contextual web? Online marketing has allowed brands to hit target audiences with reach & efficiency like no other medium before it. And yet brand spending on traditional advertising and street / experiential marketing has stabilized even as smart phones take over the planet. Is integrated marketing, the combination of online marketing & real-world connection, the future of advertising? How do you marry the art of genuine real-world endorsements with the science of digital word of mouth? We bring together a group of experts in the marketing world to discuss to current & future state of marketing. Even in a mobile / digital / social world, brands still spend a lot of money on traditional and street marketing. What kind of initiatives have brands launched to encourage fans to magnify their ad spend via posts on Facebook, Twitter, YouTube, Instagram, Vine, etc.? Who have you seen strike the proper balance with online/ offline marketing? Are brands getting better with incentivizing / empowering fans to share brand messages on their social channels? Are consumers’ friends okay with this, or does this turn into noise at some point? Tweetchats, hashtags, share / like to win, etc. — how do you avoid noise in these situations, and encourage genuine excitement for a brand? In what instances does gamification build brand affinity? Let’s talk about the power of compelling content — how deeply do brands want that video / image to go viral, and to what lengths do they use “meme teams” to build live-time topical content for their social channels? Look around SXSW and you see that brands go to great lengths to use street teams / sampling / events in the real world — what steps are brands taking to get prospects to post about their brand? How far is too far — can too many steps detract from the campaign’s effectiveness? What can brands do to get a better uptick in posts & shares? The majority of U.S. marketers say that they plan to spend more on social media marketing in 2013, reveals a new study from the Association Of National Advertisers. While both budgets and hiring continue to increase as companies recognize value in investing in social media, social media teams still struggle to show tangible results tied to their social media efforts. This panel of social media experts explores common traps social media teams fall into by paying attention to the wrong metrics, raises ideas on how to better demonstrate the real value of social to their executive teams and clients, as well as identifies areas to improve the real ROI of social media. Why doesn’t social media return always follow the traditional ROI formula, with revenue returned being the focus? How do I actually get a return on raised awareness? How do I quantify social media results to my executive team and justify the amount of money I am currently spending? What are some of the common traps social media teams fall into when looking at their digital analytics? What are the metrics that actually matter when tracking ROI?